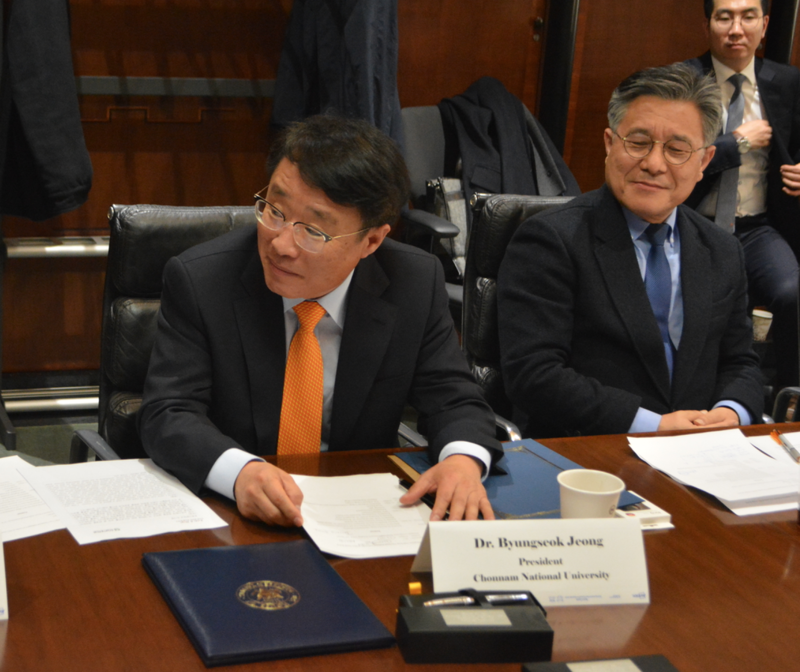 On December 1, a huge delegation of high ranking education officials from South Korea, led by the president of Chonnam National University (CNU), Dr. Byungseok Jeong, attended a unprecedented signing ceremony at Baruch College in New York City in an effort to establish a student and teacher exchange program between the two renowned learning institutions. The program also included Sentinel Technology Services International, Inc., led by Terrence Horton. The ceremony was held in the lavishly decorated President’s Conference Room (Administration Building) on East 22nd Street, and included high-ranking Baruch College officials, led by Provost and Senior Vice President, Dr. David Christy. Prior to the MOU signing ceremony commencing, individuals from both institutions spoke, including Dr. Jeong and Dr. David Christy. Also speaking was Horton, who was the one responsible for organizing the ceremony and convincing Chonnam National University to sponsor the incredible student and teacher exchange program. 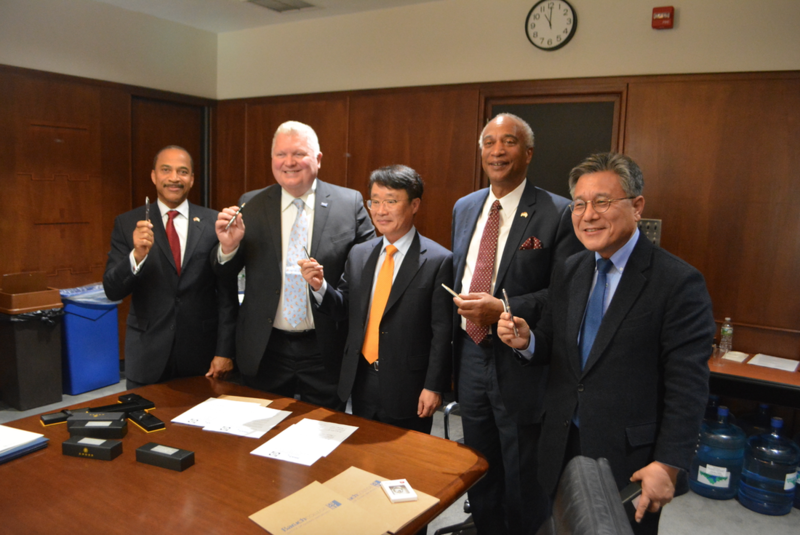 Just recently, Chonnam National University (CNU) appointed Horton as CNU’s Global Honorary Ambassador for the greater New York area. Also helping to facilitate the event was Assemblyman J. Gary Pretlow. 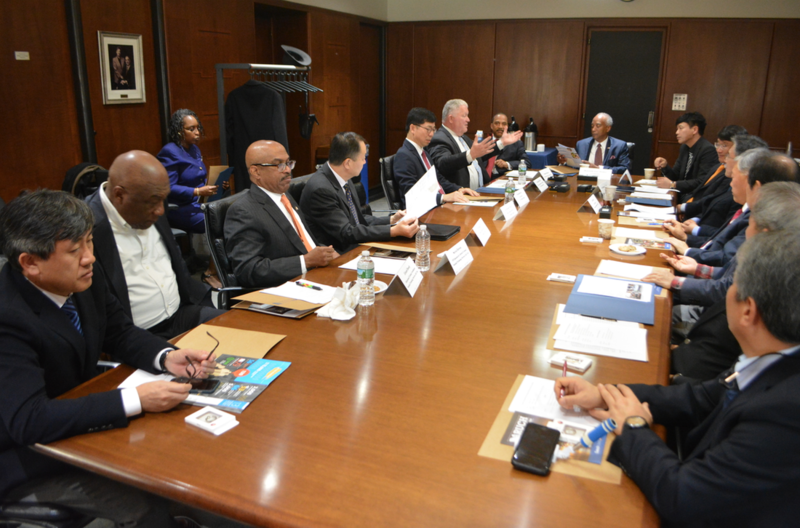 “On behalf of Sentinel, I am particularly excited about the prospect of a pipeline for students from Mount Vernon to benefit from the partnership between Baruch College and Chonnam National University. In this interconnected economy, it is vital that our young people be given every opportunity to learn at leading academic institutions such as Baruch and Chonnam University,” said Horton. As the signing ceremony was about to commence, there was much excitement in the room since it was viewed by the many in attendance as history in the making. 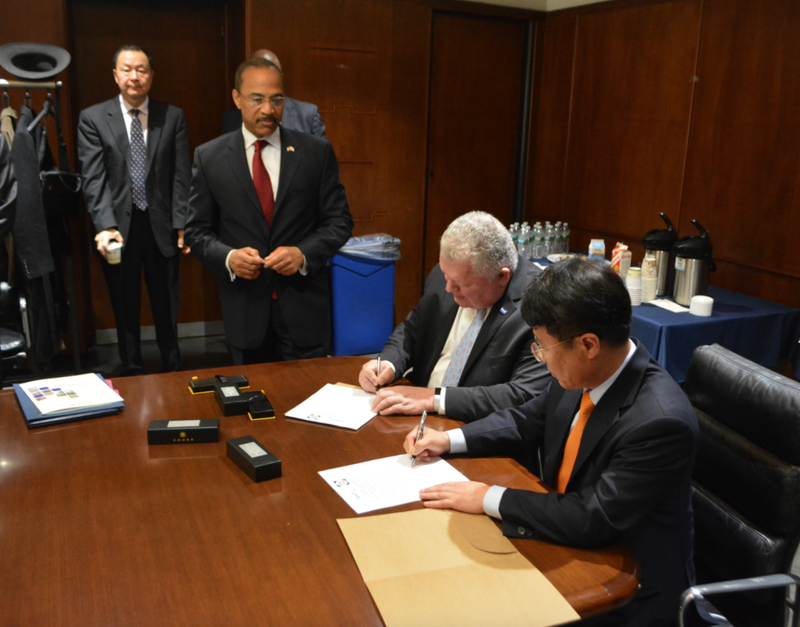 Student exchange programs are very common, but as Dr. David Christy and Dr. Jeong signed the MOU, they were signing an agreement that involved not only students to participate in the exchange program, but also teachers. In addition, the agreement entails a full expense free scholarship, which includes round-trip airfare, living allowance and free medical insurance. At the conclusion of the signing, which included Horton signing an agreement as well, a deafening and thunderous applause took place. 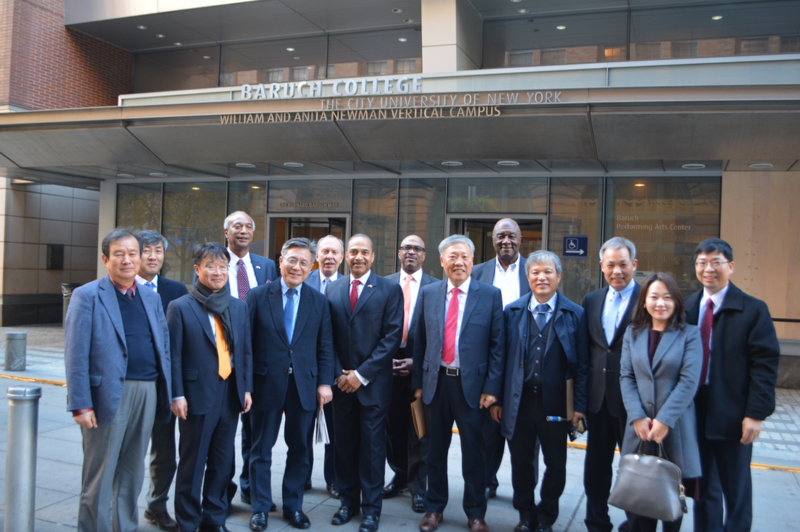 After the ceremony, the Korean delegation was taken on a tour of the Baruch College campus. Sentinel Technology Services International, Inc.